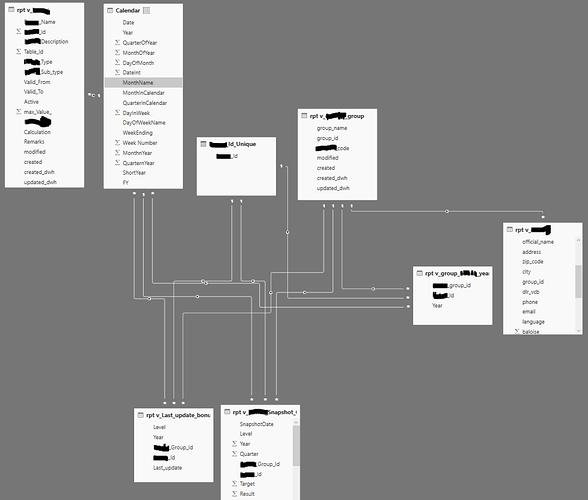 I have build a data model and whe the Id was unique in the table, it was not an issue but now the ids are not unique because they depend on the year now (valid from). 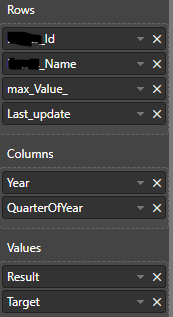 So, i dont know how to solve this, i have created a bridge table with Id, group and year and then a table on the fly with the uniques values for the ids but it doesnt work, i want to use elements from the id table, from the calendar and from the facts tables (snapshot and last update) but it keeps saying that i dont have a relationship between 2 or more fields. Similar to one of your earlier posts, a PBIX file could help me possibly find a solution to your question a bit faster. More than likely there are fields that don not have a relationship, but without seeing the model it makes it a bit more difficult.